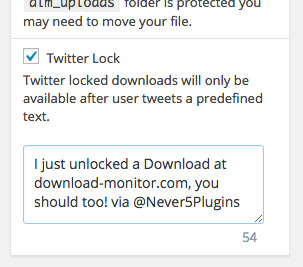 With the Twitter Lock extension you can require your visitors to tweet a pre-defined tweet before gaining access to a download. 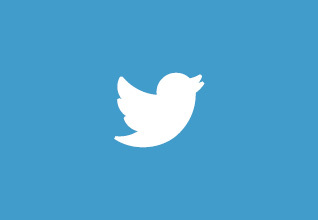 Set a tweet message per download (or a global one), require users to tweet it and watch your Twitter engagement grow! 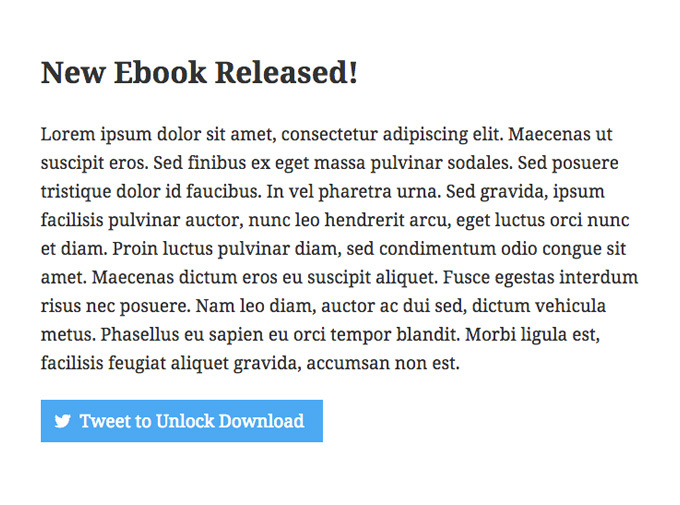 With the Twitter Lock extension anyone can setup a Twitter lock for their Downloads. With our extended documentation, explaining the setup process step by step anyone can setup a Twitter Lock without any coding required! The Twitter Lock extension for Download Monitor will adept to your WordPress theme and on top of that is 100% customizable due it’s overridable template parts.